Calling all Millennium Falcon fans, R2-D2 enthusiasts and Han Solo wannabes – give the kids’ room the ultimate Star Wars makeover with the ultimate decor haul. Let me tell you, the Force is strong with Pottery Barn Kids. 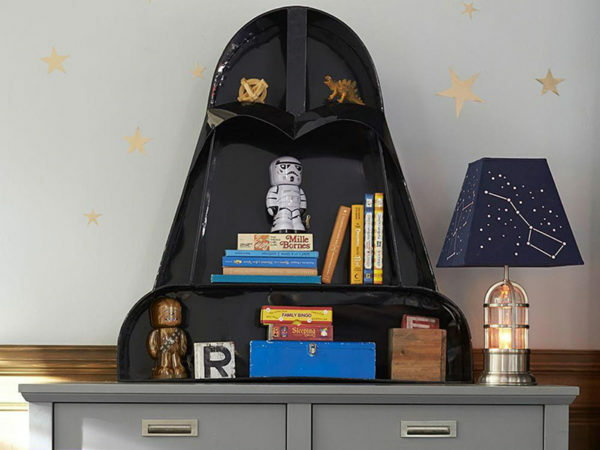 From bath time to bed time, Pottery Barn Kids is delivering the adorable Star Wars themed goods for those who are mad about the films set in a galaxy far, far away. 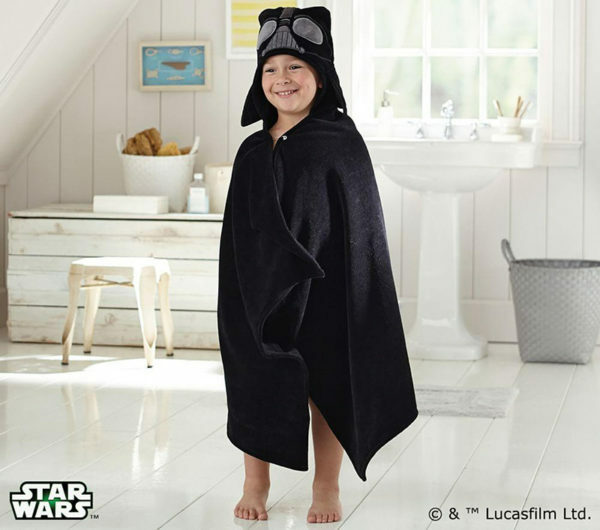 Receiving full marks for level of adorable, the Star Wars Darth Vader Bath Wrap, complete with Darth Vader mask hood, $52.50. 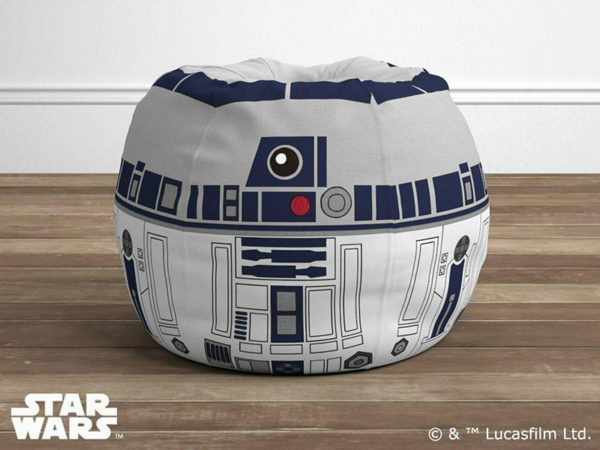 A soft place to read or watch tv, the Star Wars R2-D2 Anywhere Beanbag, priced from $100. Made from a durable woven cotton, it’ll withstand serious lounging! Want the most awesome, out of this world, way to display your Star Wars trinkets? Surely the Star Wars Darth Vader Shelf, $249, will get the job done perfectly. You’re spoilt for choice in kitting out the bed. 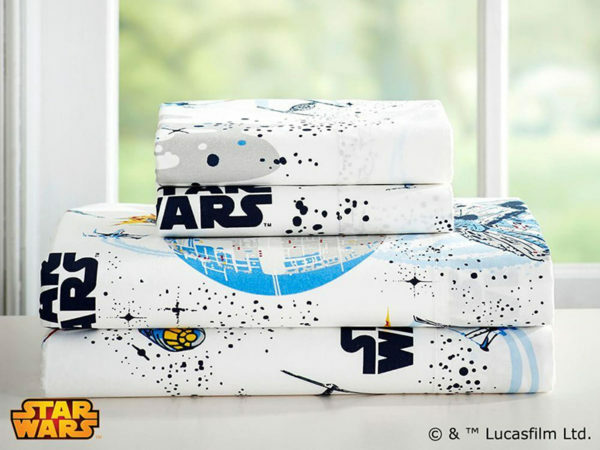 From Star Wars Millennium Falcon sheet sets (priced from $19) to Star Wars Millennium Falcon Quilted Bedding (priced from $34.30), you can be sure that adventure awaits in your dreams. 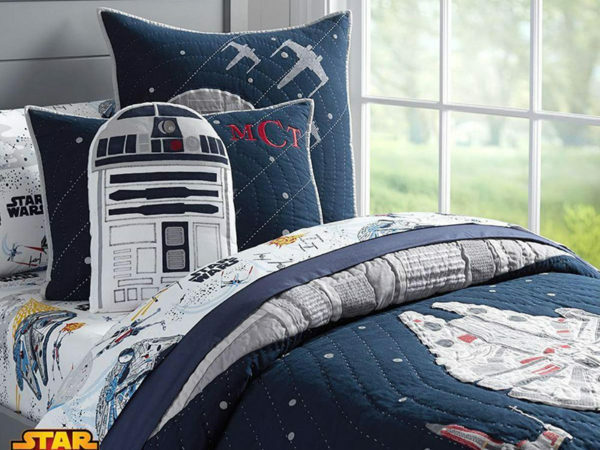 Shop the whole Star Wars collection direct from Pottery Barn Kids. May the force be with you!